The below infographic is the result of a survey taken between August 15, 2016 and October 31, 2016. 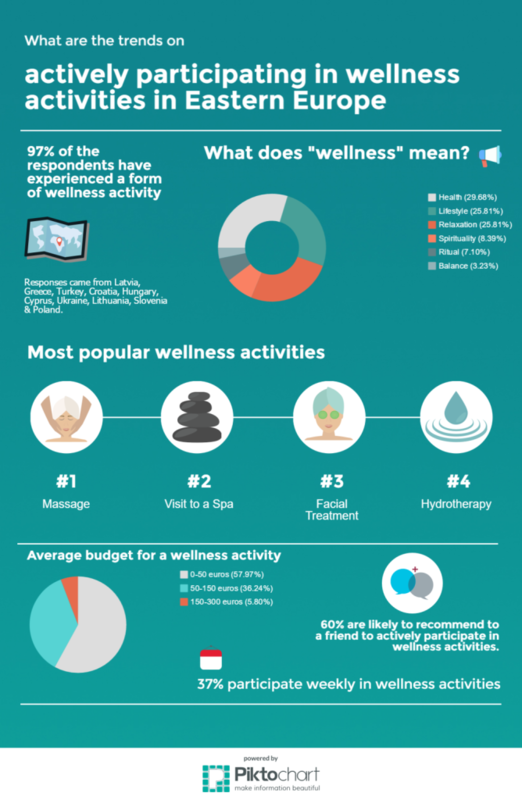 The Initiative’s goal was to assess the general awareness of wellness in the Eastern European region, and to evaluate the limitations and opportunities of actively participating in wellness activities. The majority (70%) of respondents were females between 25- and 34-years-old.